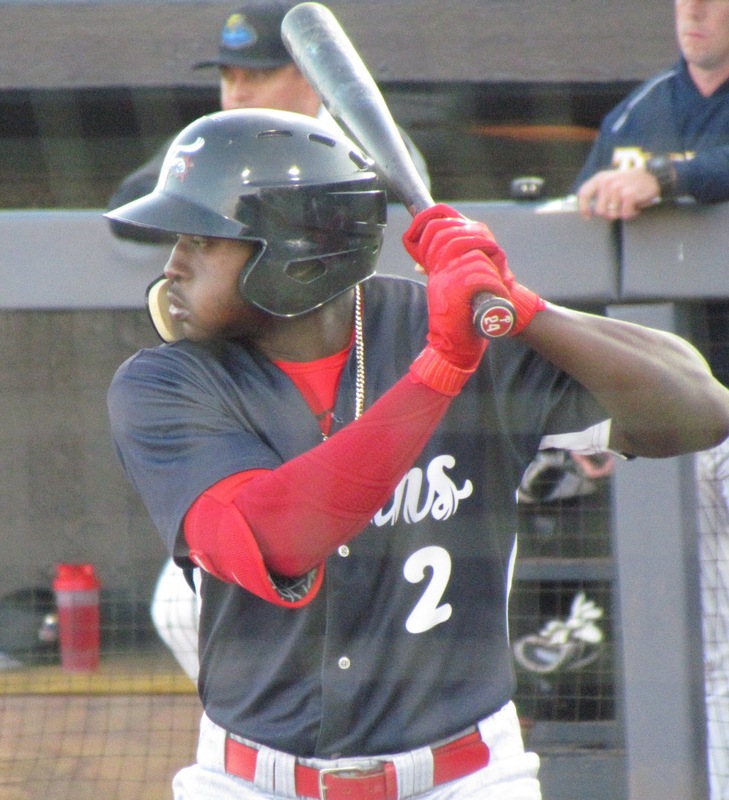 Upon being selected with the 10th overall selection in the 2015 MLB amateur draft, outfielder Cornelius Randolph quickly placed among the Phillies' top ranked prospects. During his senior season in high school, Randolph drew considerable attention from professional organizations, posting great offensive numbers with a .533 batting average, seven home runs, 33 RBI and a 1.631 OPS in 26 games, leading his team into the state tournament. As an 18-year-old, the man who goes by the nickname "C" had a tremendous professional debut in 2015, posting a .302/.425/.442 slash line in 53 games for the rookie level Gulf Coast League Phillies. In 2016 as a member of the Class A Lakewood BlueClaws, Randolph would tally a .274 average with a pair of homers and 27 RBI in 63 games. The youngster missed more than two months of action with an injury (muscle strain in back/shoulder blade area) from April to June, but he finished the season healthy. He spent time during the following off-season working with a strength coach as well as former big league outfielder Mike Cameron at his training center in Georgia. The following year as a member of the Class A Advanced Clearwater Threshers, Randolph sported a .250 batting average with 13 home runs and 55 RBI in 122 games. The Florida State League gave Randolph the kind of challenge the Phillies had hoped for. He improved month to month, seeing his batting average rise a great deal with each turn of the calendar until he cooled off in August. Over that off-season, Randolph played in the prestigious Arizona Fall League. In 19 games with Glendale, he batted .239 with four doubles, a triple and eight RBI. Last year, the 21-year-old posted a .241 average with five homers and 40 RBI in 118 games for Double-A Reading. There seemed to be a learning curve for Randolph, as he really improved his production after the All-Star break (.217/.309/.270 in 77 games prior to the break vs. .286/.352/.415 in 41 games after the break). Touted by Phils scouting director Johnny Almaraz as the top high school hitter in the country at the time he was drafted, Randolph was an exciting choice by the Phillies. Armed with a quick bat, the left-handed hitting Randolph has the ability to hit for average as well as power. A Clemson recruit out of high school, he is described as a patient hitter that has a good approach at the plate. On the defensive side, Randolph has played left field exclusively. He has a strong arm and is athletic enough to display quality range in the outfield. He would likely classify as an average defender. Speed wise, Randolph can be quick but with just 26 steals in 45 attempts in his professional career to date, he doesn't appear to be a runner that will strike fear into opposing batteries as a notable threat. I would predict Randolph repeating Reading, at least to open the coming season. The Phillies will want to see more power on display in 2019, in order to prove that he is on the right path. At such a young age, the youngster has plenty of time ahead to develop into an offensive threat. Keep tabs on this year's complete Phillies prospects countdown by clicking this link.